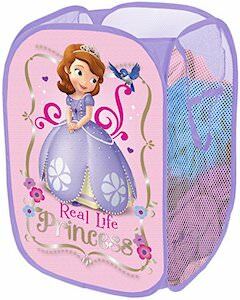 If your little girl loves Sofia The First then you just have to check out this set of two fun little girls Sofia The First Dresses. The princess dresses come in kids sizes 2T, 3T, and 4T and are made from 60% cotton and 40% polyester. 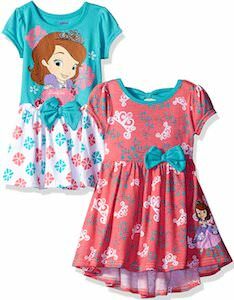 The dresses both show the little Disney Princess and both dresses are both completely different looking but both have Sofia on it and a bow. 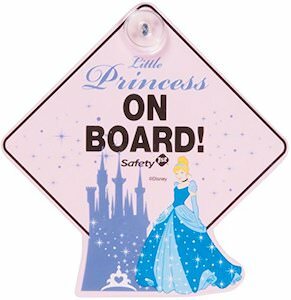 So now your child can wear her favorite princess on her clothing and where ever she goes she can tell people about Sofia The First. Now you just have to keep doing laundry to that one of the two dresses is always ready to be worn. We all know Duck Tape but did you know that they have Frozen Duck Tape with Anna and Elsa on it? 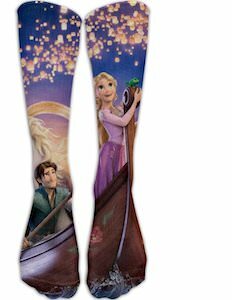 Yes, there is Anna and Elsa Duck Tape and it looks amazing and way more fun then the boring standard Duck Tape that is just plain grey. On this Duck Tape you can see a light winter scene with on it and image of the sisters Anna and Elsa. So now you can decorate almost anything in Frozen style by just putting Frozen Duck Tape on it. 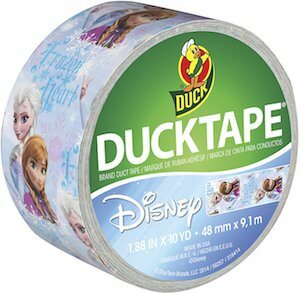 And this roll of Anna and Elsa Duck Tape is 1.88 inch wide and 10 yards long so that you have plenty of tape for a lot of fun Frozen projects. 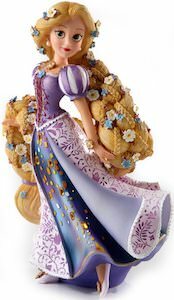 If you are a big fan of Frozen and like nice figurines then you need to check out this Anna in sunflower outfit figurine. The figurine shows Ann just like she did in the movie with with her skirt flying wide like she is dancing. The figure of Anna is 8 inches tall and is made from stone resin and has amazing details. 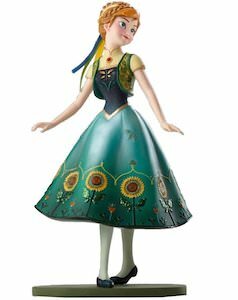 Anna is my favorite from the Frozen movie and seeing this figurine really makes it look likes she just jumped out of the movie. 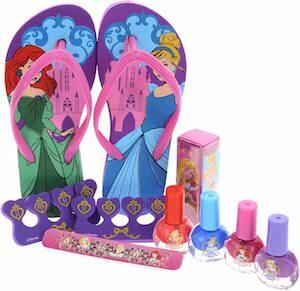 So if you are a Frozen fan then you just have to check out this figurine from all angels by clicking the picture. 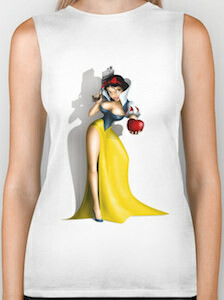 If you like a sneaky Snow White then this tank top is what you need to see. The biker style tank top is white and available in sizes XSmall – XL and is unisex so it will fit both men and women perfectly. On the front of the shirt, you can see Princess Snow white and she seems to have adjusted her outfit to look a bit more revealing with a lower cut top and a slit on the side of her dress. Snow White seems to be offering the poisoned apple and she is really trying you to eat it as she is holding a gun behind her back and that means you should just hope a Prins will come wake you after you eat the apple. Now there is a Beauty And The Beast power bank so that you never have to worry about your phone running out of power again. 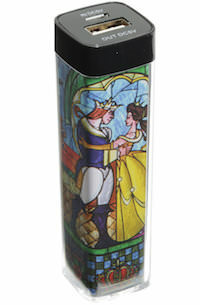 The power bank shows a stain glass design of Beauty And The Beast dancing. The power bank has one normal USB port for charging your devices and the battery has an 1800 Mah capacity and comes pre-charged. Now you never have to worry if the handsome prince called you because thanks to the Beauty And The Beast portable battery you never have to worry about your phone running out of power.